John 6:12 NIV When they had all had enough to eat, he said to his disciples, “Gather the pieces that are left over. Let nothing be wasted. Many of our parents have instilled in their children the concept of “waste not, want not.” This is usually translated into “Be sure you eat everything on your plate. 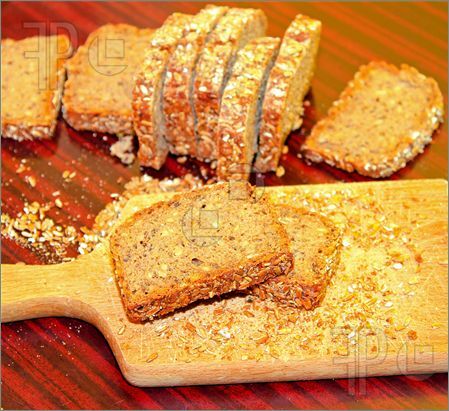 A lot of times we ate meals with a piece of homemade bread so that we could really clean our plates. Our grandparent’s generation saw WWI and the Great Depression so frugality was part of their daily life. They tended to save a lot of things we don’t save now. Old pieces of material from worn out clothes was woven into carpets or stitched into quilts. Pieces of scrap wood left from a construction project was used for heating the house or put in the cook stove to help prepare a meal. And of course, when you didn’t have toilet paper, the old joke was to use a Sears or Montgomery Ward catalog. The National Resources Defense Council has this to say: Food is simply too good to waste. Getting the food to our tables eats up 10% of the total US energy budget; uses 50% of US land; and swallows 80% of the fresh water consumed in the US. Yet 40% of the food in the US goes uneaten. That is more than 20 pounds of food per month per person every month! Americans throw out the equivalent of $165 to $180 billion each year; 25% of our fresh water. They waste huge amounts of unnecessary chemicals, energy and land. That uneaten food usually ends up in landfills where it produces 25% of US methane emissions! The words of Jesus in John 6 are some words the US would do well to listen to. This is the story where Jesus multiplies the 5 loaves and 2 fish of a young boy’s lunch to feed 5,000 people. Then he does something completely incongruous – he tells his disciples to gather up the fragments! By this lesson Jesus teaches us not to waste anything even though there is a surplus of wealth around us. We are at the end of another year. Have you ever noticed that as people look ahead to a new year, they think of it as a whole – It’s a new year, an unexplored territory that looms ahead. On it they hang their hopes, wishes, prayers, dreams and goals for something better. But when they look back at the old year in those last moments of time, they look at it in fragments; events and moments that made up the whole year. All of those pieces fit together to make the year what it was – either a success or failure. Ephesians 5:16 speaks of “Redeeming the time for the days are evil.” Literally, this means to “buy up the opportunities.” We need to reflect and pray over the last year to glean as many lessons as we can to take with us into the New Year. No matter what has happened over the last year, there are lessons we have learned that will serve as building blocks for the year to come. We can never start over with a clean slate and hope to succeed unless we learn from our past mistakes. When we make resolutions each year, that is exactly what we are doing – taking the failures of the last year and setting goals to make this coming year better. Horatius Bonar wrote: Fill up the hours with what will last; Buy up the moments as they go. The life above, when this is past, Is the ripe fruit of life below. Experience – the successes, as well as the regrets and failures we went through – is the greatest teacher we have. Why would we leave those fragments to go to waste? Shouldn’t we rather gather them up into 12 baskets of wisdom for the year to come? Isn’t the Lord capable of turning our failures into blessing and growth? Heartaches – broken pieces Ruined lives are why he died on Calvary. Your touch is what I longed for You have given life to me. In the context of today’s message, God has given us 365 ¼ days or 8,766 hours in 2013. As of noon today (December 29) we have 60 hours left – 2 ½ days. If you and I knew we only had 2 ½ days to live, how would we live our lives? It’s not as serious as that, but we’re challenged in scripture to live our lives in such a way as to make every hour and every day count for something good. Broken dreams and unanswered prayers, lessons of life from this past year; missed opportunities to do good or share the gospel in some small way are the fragments that Jesus wants us to gather up and submit to him so he can soothe the heartaches and heal the troubled soul. That is what he does really well – he restores hope and heals the wounded heart. So look at all that God has one for you and I this past year. Count your blessings and remember. Don’t’ waste the broken pieces. You never know what the Master may want to do with all those baskets of fragments in 2014.